Successfully restarting a beef operation may mean thinking outside the box. Bre Ochs, a third generation Great Falls, Montana, rancher left the box in the dust, hitting the bottle instead for her ranch reboot. 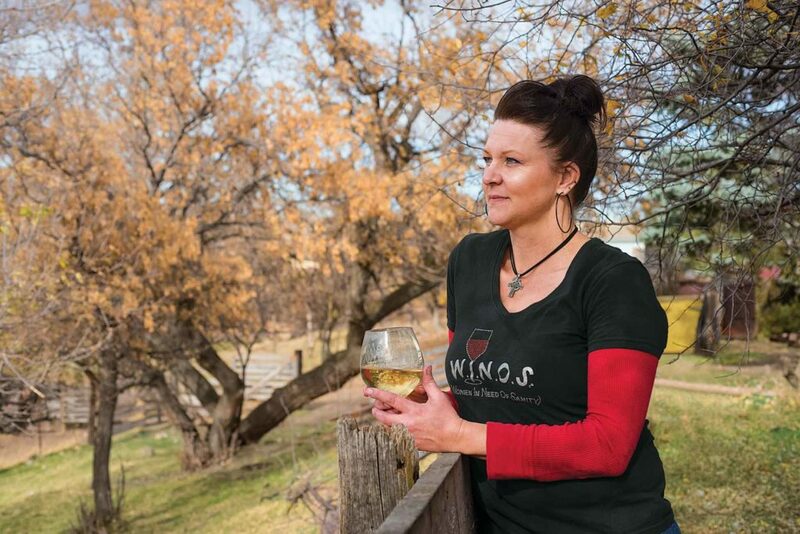 The determined rancher is taking an unorthodox route back to the beef industry, opting to add wine to her feed rations in an effort to create a unique, high value gourmet beef product. After decades of success, the Indian Hammer Ranch fell into a lull as Ochs cared for her ailing parents. The herd was liquidated and land leased out or sold. When they passed, Ochs faced a daunting task. “I really did want to take back over the ranch, but it was down to almost nothing,” she says. Not to be discouraged, Ochs worked with the Montana Small Business Development Center Network to kick around ideas. On their advice, she purchased 15 steers to feed, hoping to reinvest profits in breeding stock. They also suggested identifying a niche market, which Ochs did thanks to an impulsive moment of humor. After a long day of rebuilding corrals, Ochs decided to share her hard-earned cold drink with her overly friendly bull, Zeus, who had pestered them throughout their workday. “I poured some beer over my steers’ feed and they ate it right up,” she recalls. That got her thinking about how alcohol may change the meat. 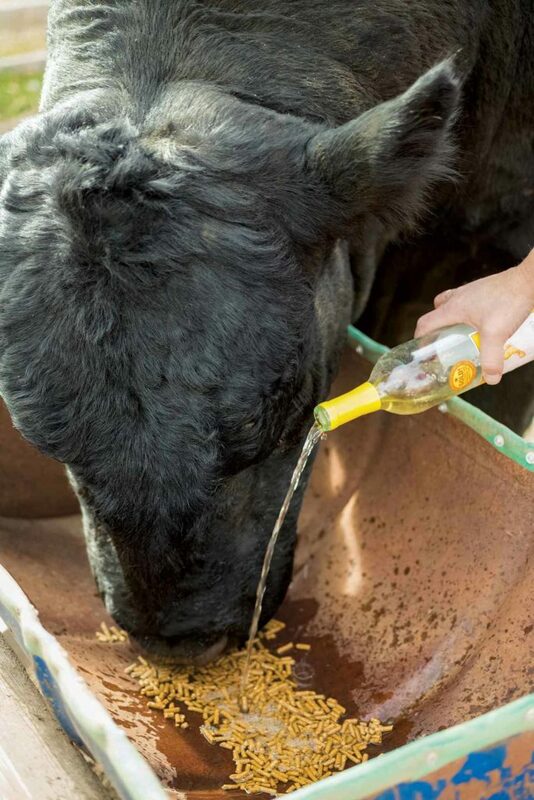 A steer happily slurps up his daily feed ration, including honeymead. The wine helps create a sweet, unique beef product. Testing proof. In unchartered territory, Ochs ventured slowly into her wine-fed beef experiment starting with just two steers. “I wanted to see how the wine would impact the texture and flavor of the meat. Would it be sweeter due to having more sugar, that sort of thing,” she says. Wine was slowly added to the rations, building to a half bottle morning and night for each steer. “I had to split it up because you can get a steer drunk,” Ochs says she discovered. Bre Ochs looks to a unique feed, wine, to try to carve out a high value beef niche. A new flavor. The second round she fed wine for around 4 months as compared to 7 months. The cattle finished fine and with less fat than her earlier try. She began selling the product direct to customers at a premium price, while still providing regular beef product to customers. Ochs continues to experiment with breed, feed, and more as she develops the niche she stumbled into. Texas homestead brings art to life.